You are here: Home / Blog / What sort of business do you drive? What sort of business do you drive? It’s an impossible question for the sales staff to answer. They can’t just look at you and accurately assess your needs, your tastes, and even your budget. Maybe you’d be happy with an old banger ‘A to B’ machine that could pick up for less than a grand. Maybe a reliable four- to five-year-old second-hand vehicle with a price tag around €10,000 is more what you have in mind. Or maybe you want to splash out on an all-new premium model that costs €50,000 or more, and comes complete with all the latest technology and creature comforts. So, until the dealership learns a bit about you and what you’re looking for, they won’t be able to answer that ‘how much will it cost’ question – unless it’s with a vague ‘anything from €500 to €100,000 or more’ response. We could answer ‘the same as it costs to buy a car’. This might throw people a bit, but think about it. 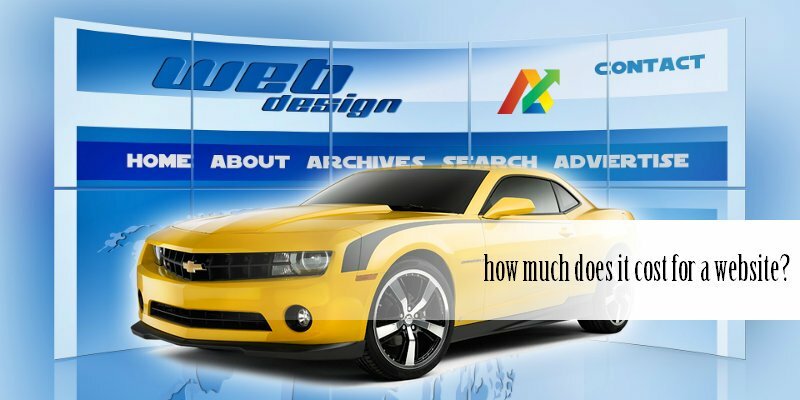 Comparing websites and their cost to each other is a lot like comparing cars. For example, the first car I bought cost me just £600 when I was straight out of college in the mid-1990s. It was already ten years old, and was basic as could be. It guzzled petrol, there wasn’t even a cassette player, and I bought it during the summer, only to discover the following winter that the heating didn’t work. But the car still got me around. The car I drive today was three years old when I bought it for €17,000 three years ago. It’s a pleasure to drive, and has sat nav, Bluetooth and USB connectivity, and many other features that hadn’t even been invented when I bought that 80s banger close to twenty years ago. Compare the two. They both fulfil the same basic function, but they are very different too, in areas like design, efficiency, and user experience. It’s the same with websites. You could pay just a few hundred euro for somebody somewhere to build you a basic site that will do the job, and maybe even look nice, but won’t do the job particularly well. Consider these the old bangers of sites. You could pay tens of thousands for a bespoke web design that requires a lot of design and maintenance, but delivers a huge amount of functionality and a great user experience. Consider these the Rolls Royces. We’d all love to be able to afford one, but not many of us can. So, again just like cars, most will choose something in between – maybe a family saloon or a sporty hatchback, either new or second-hand, depending on the finance available. The important thing is that they’re happy that it does what they want, in the way that they want it, and for the budget available. We don’t do bangers here. We don’t do Rolls Royces either. What we do is design and create websites that are well structured, attractive, fast, functional, and responsive. If we’re a car dealers, then we sell Volkswagen, Ford, and Toyota – the most popular and reliable makes on Irish roads, at that mid-price point where you know you’re getting a whole lot of extra quality for just a little more outlay.